Metro Manila, Angeles City, Cebu, Bacolod City and Dumaguete City, Vigan, Ilagan, Davao City, Iloilo City, Zamboanga City and other Philippine communities with a substantial Chinese minority. Philippine Fukien (Chinese: 咱儂話; Pe̍h-ōe-jī: Lán-lâng-ōe; literally: "our people's language"), known as Hokkien in the Philippines, is the Hokkien dialect of Min Nan as spoken by about 98.7% of the ethnic Chinese population of the Philippines. A mixed version that involves this, Tagalog and English is Hokaglish. The term Philippine Hokkien is used when differentiating the variety of Hokkien spoken in the Philippines from those spoken in Taiwan, China, and other Southeast Asian countries. 咱人話 (Hokkien: lán-lâng-ōe [lán-lâng-uē]; Mandarin: zánrénhuà) -- literally means "our own people's speech", it mostly refers to Philippine Hokkien. 閩南語 (Hokkien: bân-lâm-gí; Mandarin: mǐnnányǔ) -- literally means "Southern Min language" or "Ban Lam Gi" or "Minnan language", this refers to the variant spoken in Quanzhou, Zhangzhou, Xiamen and Taiwan (in Taiwan and Mainland China). 台語 (Hokkien: tâi-gí; Mandarin: tái-yǔ) and 台灣話 (Hokkien: tâi-oân-ōe [tâi-uân-uē]; Mandarin: táiwanhuà) -- literally means "Taiwanese language", this refers to Taiwanese Hokkien. 厦門話 (Hokkien: ē-mn̂g-ōe [ē-mn̂g-uē]; Mandarin: xiamenhua)--literally means Xiamen Speech refers to Min Nan spoken in Xiamen City in Fujian, Mainland China. 泉州話 (Hokkien: choân-chiu-ōe [tsuân-chiu-uē] ; Mandarin: quánzhōuhuà)--literally means Quanzhou Speech refers to Min Nan spoken in Quanzhou City and other City Like Shishi City, Nan-an City,An-xi City Jinjiang City, Hui-an City, Ying-chun City, Dehua City and Tong-an City in Fujian, Mainland China. 漳州話 (Hokkien: chiang-chiu-ōe [tsiang-chiu-uē]; Mandarin: zhāngzhōuhuà)--literally means Zhangzhou Speech refers to Min Nan spoken in Zhangzhou City and other City Like Longyan City, Zhangping City, and Dongshan City in Fujian, Mainland China. 福建話 (Hokkien: hok-kiàn-ōe [hok-kiàn-uē]; Mandarin: fújiànhuà) -- literally means "Fujianese language", this refers to all Fujianese varieties in Taiwan and Mainland China, however this term is a misnomer because in Fujian, China there are many other languages like Min Dong and Min Zhong. In the Philippines, all terms are used interchangeably to refer to Philippine Hokkien. Philippine Hokkien is generally similar to the Hokkien dialect spoken in Quanzhou, however, the Hokkien dialect spoken in Xiamen, also known as Amoy (Chinese: 廈門話), is considered the standard and prestigious form of Hokkien. Minor differences with other Hokkien dialects in Taiwan, China, or throughout Southeast Asia only occur in terms of vocabulary. Hokkien is spoken by ethnic Chinese throughout the Philippines. Major metropolitan areas that have a significant number of Chinese include Metro Manila, Metro Cebu and Metro Davao. Other cities which also substantial Chinese populations in Angeles City, Bacolod City, Cagayan de Oro, Dagupan City, Dumaguete City, Ilagan, Iloilo City, Legaspi, Naga City, Tacloban City, Vigan and Zamboanga City. Provinces with a large Chinese population include Albay, Bataan, Batangas, Bohol, Cagayan, Camarines Sur, Cavite, Cebu, Compostela Valley, Davao, Davao del Sur, Ilocos Norte and Ilocos Sur, Iloilo, Isabela, Laguna, La Union, Leyte, Misamis Occidental and Misamis Oriental, Negros Occidental and Negros Oriental, Palawan, Pampanga, Pangasinan, Quezon, Rizal, South Cotabato, Surigao del Norte, Tarlac and Zamboanga del Sur. Only 12.2% of all ethnic Chinese have a varieties of Chinese as their mother tongue. Nevertheless, the vast majority (77%) still retain the ability to understand and speak Hokkien as a second or third language. Prior to the emergence of China as a regional power in the late 1990s, speaking Hokkien, Mandarin, Cantonese and other Chinese varieties was seen as old-fashioned and awkward, with the younger generation of Chinese Filipinos opting to use either English, Filipino or various other regional languages as their first languages. Recent developments showing the rise of a politically and economically stronger China eventually led to the newly found elegance and style now associated with speaking Hokkien and other Chinese varieties. Hence, there is a stronger clamour for instructors who can produce students fluent in Hokkien and Mandarin. Many young parents are also shifting to using Hokkien at home as their children's first language. Around 120 Chinese Filipino educational institutions (locally known as "Chinese schools") exist throughout the Philippines, with the vast majority being concentrated in Metro Manila. These schools primarily differ from others in the Philippines with the presence of Chinese-language subjects. These schools were previously under direct supervision of the Republic of China (Taiwan) Ministry of Education until 1976 when Presidential Decree 176 of 1973 (sometimes called the "Filipinization" decree) of former President Ferdinand Marcos placed all foreign schools under the authority of the Department of Education. The decree effectively halved the time allotted for Chinese subjects, while Filipino became a required subject, and the medium of instruction shifted from Mandarin Chinese to English. Chinese Filipino primary and secondary schools typically feature Chinese subjects added to the standard curriculum prescribed by the Department of Education. The three core Chinese subjects are Chinese Grammar (Chinese: 華語; pinyin: huáyǔ; Pe̍h-ōe-jī: hoâ-gí; literally: "Mandarin"), Chinese Composition (Chinese: 綜合; pinyin: zònghé; Pe̍h-ōe-jī: chong-ha̍p), and Chinese Mathematics (Chinese: 數學; pinyin: shùxué; Pe̍h-ōe-jī: sò͘-ha̍k). Other schools may offer additional subjects such as Chinese calligraphy (Chinese: 毛筆; pinyin: máobǐ; Pe̍h-ōe-jī: mô͘-pit), history, geography, and culture, all integrated in all the three core Chinese subjects in accordance with PD № 176. All Chinese subjects are taught in Mandarin Chinese, and in some schools, students are prohibited from speaking English, Filipino, or even Hokkien during these classes. Presently, the Ateneo de Manila University, under their Chinese Studies Programme offers Hokkien 1 (Chn 8) and Hokkien 2 (Chn 9) as electives. On the other hand, Chiang Kai Shek College offers Hokkien Proficiency Course in their CKS College Language Center. Philippine Hokkien developed during successive centuries of the Chinese Filipinos being in the Philippines. Starting from the early 19th century, Chinese migrants from Fujian province, specifically from Quanzhou eventually eclipsed those from Guangdong province, establishing Hokkien as the primary variety of Chinese spoken in the Philippines. As ethnic Chinese began to associate with Filipinos and learn Tagalog and English, they began to use native terms used to refer to items that are found only in the Philippine milieu. Also, since most Chinese migrants from Fujian are businessmen and merchants, many have been using colloquialisms and slang words, rather than grammatically correct scholarly jargon. Both result to the current preponderance of English, Tagalog, and Fujian colloquialisms in Philippine Hokkien. In some situations, Philippine Hokkien is written in the Latin alphabet. The Chinese Congress on World Evangelization–Philippines, an international organization of Overseas Chinese Christian churches around the world, use a romanization based predominantly on the Pe̍h-ōe-jī system or "POJ". The origins of this system and its extensive use in the Christian community have led to it being known by some modern writers as "Church Romanization" (教會羅馬字; Jiàohuì Luōmǎzì; Kàu-hōe Lô-má-jī) and is often abbreviated in POJ itself to Kàu-lô (教羅; Jiàoluō). There is some debate on whether "pe̍h-ōe-jī" or "Church Romanization" is the more appropriate name. During the 19th century, all the Chinese Filipinos Christian community are Pe̍h-ōe-jī literate and use this system extensively in their churches. Later, Chinese Filipinos and ethnic Filipinos alike who formally study the language also use the version of the Taiwanese Romanization System or "TL" (Chinese: 台灣閩南語羅馬字拼音方案; pinyin: Táiwān Mǐnnányǔ Luómǎzì Pīnyīn Fāng'àn; Pe̍h-ōe-jī: Tâi-ôan Bân-lâm-gí Lô-má-jī Peng-im Hong-àn), often referred to as Tâi-lô) because many Chinese Filipinos use Traditional Chinese in writing and it is seen in school textbooks from Taiwan or based on Taiwanese materials. It too is derived from Pe̍h-ōe-jī and since 2006 has been officially promoted by Taiwan's Ministry of Education. In general, Min Nan has 7 to 9 tones, and tone sandhi is extensive. There are minor variations between the Quanzhou and Zhangzhou tone systems. Taiwanese tones follow the schemes of Amoy or Quanzhou, depending on the area of Taiwan. Both Amoy and Taiwanese Min Nan typically has 7 tones; the 9th tone is used only in special or foreign loan words. Quanzhou is the only Min Nan dialect with 8 tones, of which the 6th tone is present. 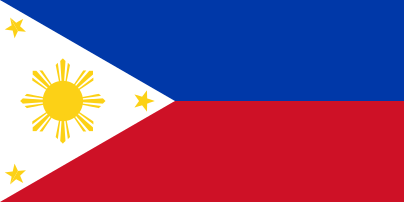 The Philippine Min Nan dialect follows the 8 tones and tone sandhi of Quanzhou because many of the Chinese Filipino who speak Min Nan in the Philippines have ancestors from Quanzhou (Fujian) in China. Philippine Hokkien is largely derived from the Hokkien dialect spoken in Quanzhou. However, it gradually absorbed influences from both Standard Xiamen and Zhangzhou variants. Although Philippine Hokkien is generally mutually comprehensible with any Hokkien variant, including Taiwanese Hokkien, the numerous English and Filipino loanwords as well as the extensive use of colloquialisms (even those which are now unused in China) can result in confusion among Hokkien speakers from outside of the Philippines. In Cebu, for example, instead of Tagalog, Cebuano words are incorporated. In Iloilo or Bacolod, Hiligaynon words are incorporated. Most speakers of Philippine Hokkien have their origins in Quanzhou and Zhangzhou, hence the influence of the Hokkien variants spoken in these areas. The use of -iak suffix where other variants have -ek [-ik], e.g. 色 siak or sek [sik], 綠色 lia̍k-siak or lia̍k-sek [lia̍k-sik], etc. The use of -i suffix where other variants have -u, e.g. 語 gí/gú, 做菜 chí/chú [tsí/tsú], etc. The use of -uiⁿ [-uinn] suffix where other variants have -eng [-ing] or -oaiⁿ [-uainn], e.g. 最先 suiⁿ [suinn], 高 kûiⁿ [kûinn], etc. The use of -oang [-uang] suffix where other variants have -ong, e.g. 風 hoang [huang], etc. The use of -ng suffix where other variants have -uiⁿ [-uinn], e.g. 門 mng, 飯 png, 酸 sng, etc. The use of -e suffix where other variants have -oe, e.g. 火 he, 未 be, 地 tē, 細 sè. The use of -oe [-ue] suffix where other variants have -oa [-ua], e.g. 話 ōe [ūe], 花 hoe [hue], 瓜 koe [kue]. The use of -iuⁿ [-unn] suffix where other variants have -iauⁿ [iaunn]), e.g. 羊 iuⁿ [iunn], 丈 tiūⁿ [tiūnn], 想 siuⁿ [siunn]. The use of -iong suffix where other variants have -iang, e.g. 上 siāng, 香 hiang. Philippine Hokkien (as well as Southeast Asian Hokkien) uses a disproportionately large amount of colloquial words as compared to the Hokkien variants used in China and Taiwan. Many of the colloquialisms are themselves considered dated (specifically, pre-World War II) in China but are still in use among Hokkien-speaking Chinese Filipinos. am-cham [am-tsam] (骯髒): dirty. Its equivalent in the Standard Xiamen dialect is "lāu-siông". chha-thâu [tshia-thâu] (車頭): chauffeur (literally, "car head", but used in China to refer to a headstock). Its equivalent in the Standard Xiamen dialect is "chhia-hu [tshia-hu]" （車夫）. chhiáⁿ-thâu-lō͘ [tshiánn-thâu-lōo] (請頭路): to work, to get employed. Its equivalent in the Standard Xiamen dialect is "chòe-kang [tsuè-kang]" （揣工）. chhiú-siak [tshiú-siak] (首饰): jewelry. Its equivalent in the Standard Xiamen dialect is "chu-pó [tsu-pó]" （珠寶）. khan-chhiú [khan-tshiú] (牽手): to marry. Its equivalent in the Standard Xiamen dialect is "kiat-hun" （結婚）. liām-chúi [liām-tsúi]（淋水）: to baptise. Its equivalent in the Standard Xiamen dialect is "sóe-lé [sué-lé]" (洗禮). pēⁿ-chhù/pīⁿ-chhù [pēnn-tshù/pīnn-tshù] (病厝): hospital (literally, "sick house"). Its equivalent in the Standard Xiamen dialect is "i-ìⁿ [i-ìnn]" （醫院）. pēⁿ-īⁿ/pīⁿ-īⁿ [pēnn-īnn/pīnn-īnn] (病院): hospital (literally, "sick house"). Its equivalent in the Standard Xiamen dialect is "i-ìⁿ [i-ìnn]" （醫院）. sio̍k (俗): cheap, economical. Its equivalent in the Standard Xiamen dialect is "piān-gî" （便宜）. siong-hó (相好): friend (literally, "good acquaintance"). Its equivalent in the Standard Xiamen dialect is "pêng-iú [pîng-iú]" （朋友）. Tn̂g-soaⁿ [Tn̂g-suann] (唐山): China, derived from the term Tangshan. Its equivalent in the Standard Xiamen dialect is "Tiong-kok" （中國）. tōa-o̍h [tuā-o̍h] (大學): university or college. Also found in Penang Hokkien. Its equivalent in the Standard Xiamen dialect is "tāi-ha̍k" (大學). Philippine Hokkien, like other Southeast Asian variants of Hokkien (e.g., Penang Hokkien, Johor Hokkien, and Singaporean Hokkien) absorbed several indigenous and English words and phrases which are usually only found (or are more important) in its new milieu. These "borrowed" words are never used in written Hokkien, for which Mandarin characters are used. sap-bûn (雪文): soap (though this sounds similar to the Tagalog sabón, is not borrowed from that language. In Taiwanese, which is a variant of Hokkien that is not influenced by Tagalog, it is pronounced as sap-bûn. Etymologically speaking, perhaps both Taiwanese and Tagalog ultimately derive sap-bûn/sabon from the Romance languages that had brought the concept of soap to them, such as Portuguese sabão and Spanish jabón respectively). ↑ Teresita Ang-See, "Chinese in the Philippines", 1997, Kaisa, pg. 57. ↑ Chang, Principles of POJ, p. 33.